Predict is a Broad spectrum fungicide which control many fungal diseases. Predict has a dual mode of action, hence it works at multiple stages of fungal development. Predict has very good preventive & curative properties, which provides flexibility & broad window of application. Azoxystrobin inhibits mitochondrial respiration by blocking electron transfer between cytochrome b and cytochrome c at the ubiquinol oxidising site. 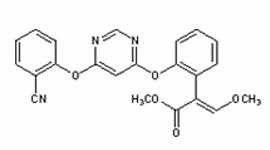 Controls pathogenic strains resistant to the 14-demethylase inhibitors, Phenylamides, Dicarboxamides or Benzimidazoles. Tebuconazole is steroid demethylation (ergo sterol) biosynthesis inhibitor. Azoxystrobin is fungicide with protectant, curative, eradicant, translaminar and systemic properties. Inhibits spore germination and mycelial growth, and also shows antisporulant activity. 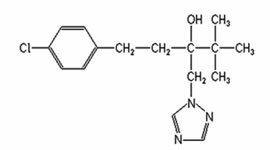 Tebuconazole is non-systemic fungicide with protective and curative, eradicate action. Rapidly absorbed into the vegetative parts of the plant, with translocation principally acropetally. It is a Broad spectrum fungicide which control many fungal diseases. It has a dual mode of action; hence it works at multiple stages of fungal development. It has very good preventive & curative properties, which provides flexibility & broad window of application. It can be applied preventively and to be repeated at 15 days interval depending upon prevailing weather conditions and disease pressure. 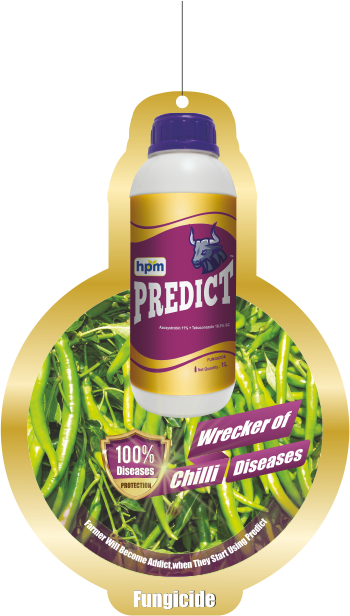 It is used to control of fruit rot, Die back and powdery mildew in chilli crop. It impacts positively on the physiological activity of the applied crop by improving.